Even though the downfall of Egypt’s modern “pharaoh” has scared tourists away, Luxor, the seat of Egypt’s ancient rulers is still well worth visiting. It was with a mixture of excitement and trepidation that my two friends and I set off for a visit to Luxor in Egypt in the midst of the early December elections and what seemed, judging by the images on British television, to be a battle zone. 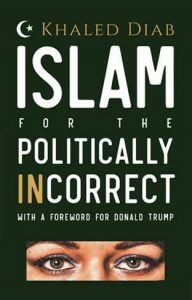 Pictures of Cairo had flooded the news, with terrible images of abuse, conflict and danger, not to mention all the fears of a takeover by Islamists, who would implement Shari’a and ban alcohol and bikinis on beaches. When we arrived at our hotel the streets were calm, businesses were open to peddle their wares and cafes exuded the atmosphere of relaxed chat. We stayed at the Sonesta St George, a five star hotel run by Copts that was reasonably priced and of the highest standard. The rooms were spotlessly clean, beautifully presented with everything you could possibly need. The staff were reliable, friendly and extremely helpful. In fact, one member of staff called Romany went to great lengths to help me find an elusive treasure that I wished to return to the UK with: incense resins. After a rather comical and entertaining display of hand gestures, charades and acting, Romany finally understood what I did not have an Arabic word for and he had no English word for. Later that afternoon, we set off, clutching a small piece of paper with Arabic instructions for the taxi driver. We ended up in a back street market bustling with people buying fruit, vegetables, live chickens and meat. Nestled in the midst of the aromatic chaos was a small spice shop. We smelt the wonderous odours wafting out of the dimly lit unit before we saw it. The walls were filled with row upon row of resins, spices, flower petals and barks. I was in heaven. Yet more hand gestures, broken Arabic, broken English, lots of pointing, sniffing, tasting and the pile of weighed out bags before me was growing. Then it was down to pricing. The hibiscus tea came out, the shisha (hookah pipe) was fired up and stools appeared as if from nowhere. The haggling began. The first price the spice seller quoted was a price pulled out of the aromatic thin air that was filled with hopefulness mingled with a sense of humour. “Ha! I don’t think so,” I replied, and a counter offer was put on the table. After 10 minutes of bantering back and forth, the spice vendor turned to my partner: “She is breaking my heart, making me so sad”, he said with a grin. “If you only knew,” retorted my partner with a sigh. I made sure that the final figure was a good price from an English perspective, but was also a good price for the vendor. It was obvious, looking around, that there were few tourists and not much money passing hands. What can seem a small amount of money to an English person could be a vast amount to an Egyptian small business, so it is imperative always to be fair and ensure that money goes around. 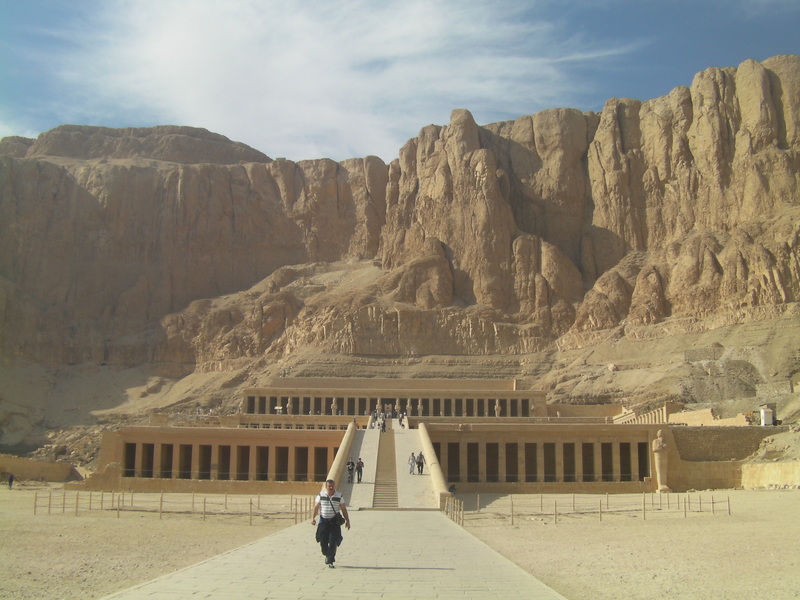 Whereever we went, be it the great temples of Luxor and Karnak, or the Valley of the Kings, I noticed a dire lack of foreign visitors, many of whom will have been scared away by the news reports of violent protests. Winter is the main tourist season for Luxor, and as many vendors pointed out to me as I chatted with them, this is the time that they make enough money to get through the following summer, when tourism trails off as the heat rises. The upside for us was that these areas were quiet which enabled us to truly take in the vastness of these ancient monuments. A good example was a discovery we made in the Valley of the Kings. After sitting in the shade for a rest, the three of us had one last ticket to visit a tomb. Rather than go for one of the more well known kings sleeping in this silent place, we decided to look a bit further, visit a king that was perhaps not so well know. We found the tomb of Twosret, a little known female king, whose tomb was definitely worth the visit. It was vast, highly decorated with the most unusual depictions of the deities and very peaceful. Back in Luxor, we discovered, quite by accident, two restaurants that were a delight to the palate: A Taste of India and The Fortune Cookie. ‘A Taste of India’ was clean, quiet and had the highest standard of Punjabi food I had tasted in years. It was also very reasonably priced, with a three course meal coming in at around £6 each. The same could be said of the Fortune Cookie, once again a high standard of excellent tasting food, wonderful chatty staff and low prices. We spent a few days wondering the streets, soaking up the character of Luxor proper, meeting people in the food markets, sipping tea with locals and taking long walks along the banks of the Nile, while dodging the incessant appeals from taxi drivers. I felt bad for them as it was obvious there were not enough tourists to go around and people were getting desperate for money. One of the things that I felt was unfair, was the coach trip guides, the ones usually connected to package holidays, were telling the tourists not to buy from the local shops or use the local taxis. Instead, they were bussed out to larger factories and shops and in return the guide was given a substantial commission on inflated prices. The tourists were being told, quite wrongly, that to go around the shops or use local taxis was dangerous and they could be mugged or sexually harassed. This was simply not true. My friends and I wandered all over the city, down the back streets, into dark gloomy shops, cafes, hailed taxis off the streets and struck up conversations with various locals. I wandered around alone as a woman and felt perfectly safe at all times. I did wear a hijab and was well covered up all the time in respect of local tradition and I think this helped me to wander around without being hassled. Since coming back to Britain, I have learned that the Muslim Brotherhood’s Freedom and Justice Party won the local elections in Luxor and this did not surprise me after the many conversations I had with locals. One of the issues that came out in conversation was how many people felt uncomfortable with the idea of half-naked tourists wandering around and also the with the alcohol issue. It made me stop and really look at the tourists who were visiting Luxor. They seemed to be divided in to two distinct groups. 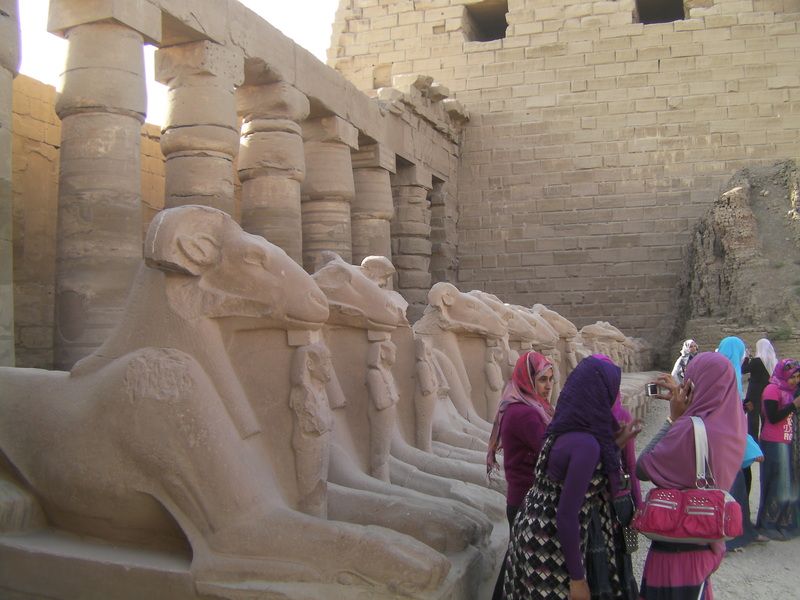 One group were obviously in Luxor to explore the ancient ruins, the mosques, churches and temples. They were mostly covered up and conducted themselves respectfully. The second group wandered around scantily clad and spent most of their time in the bar or lounging in bikinis around the hotel pool. It made me wonder why they had spent so much money to come to such an amazing place as Luxor just to spend the week sunbathing on a hotel terrace – I guess it takes all sorts to make the world go around. If, in the unlikely event, the ruling government brings out laws regarding the serving of alcohol and the covering up of tourists, I doubt very much that it will make much difference to the industry at large. I do think that Western tourists do have to get over the idea that the rest of the world should suspend their culture/religion/preferences just to suit them. As a Western woman, I do and would fight to stop the enforced veiling of women in my own country, but where a woman chooses to veil, then that is her business and it is her right as a woman to decide what she wants to do. As an outsider to Egypt, the veil issue is not my battle and I have no right to challenge the rules of a country that I visit. I have no problem covering up in respect of local traditions and if anyone chooses not to come to Egypt because such local tradition becomes law, well, it’s their loss. Egypt is a wonderful, exciting, powerful and ancient treasure. Its people are friendly, its streets are safe, the food is excellent and the sun shines every day. The culture is fascinating, the ancient buildings are humbling and the every day life of ordinary people needs the financial support that tourism brings. Egypt was a joy to visit, a land and people worthy of great respect and a place that instils you with awe not only of the ancient sites, but of the courage and tenacity of its people. This article is published here with the author’s permission. ©Josephine McCarthy.